I can tell you that I’ve been in the online business for more than 10 years. I have a mathematics background. I like reading books on how to build a client-oriented service properly and make a business prosperous. When and how did you know about binary options? I’ve got to know about it in early 2013. I’ve noticed an advertisement about binary options services and took note of a solid technology gap between the related areas – Forex and gambling – at once. Did you try to work with these services as a trader? Yes, of course. I registered with all large competitor companies, made deposits into my accounts, and received “funny” calls from people speaking in Russian-Israeli accent. When and how an idea to establish IQ Option Company was born? What is the idea behind the name? The idea was born in March 2013. There were several names of the company. I have just opened my notebook with potential names. Here they are: “optionGO”, “acceltrades”, “brisktrades”, “jetbinary”, “instaoptions”, “iqoption”. This is not the full list, but the last alternative was exactly “iqoption”, which we selected. How difficult and expensive is a process of establishing of your own binary options broker? If to estimate efforts invested in creation of IQ Option Company in October 2013, then it was not difficult. However, if to consider the efforts spent since the beginning till February 2016, then it is a very difficult task. And I wouldn’t try to establish the broker, if there were such strong competitors at that moment. IQ Option opted out of fully packaged products from the start and designed its brand new product. Why? Why such platforms like “Spot Option”, “TechFinancials”, “Tradologic” didn’t suit your needs? I went to Israel and met with “Tradologic” management. We paid them for their license and attempted to create a website. However, the idea was disgusting for me from the very beginning. My partner insisted on the idea, but when he saw the source code of the platform and other things, we gave up the idea. We took the decision at the moment, when we had been developing our own platform. What major difficulties did you experience, while creating your own brokerage company: offices, employees, payment aggregator, and a possibility of legal work with citizens of EU and other countries? The difficulties included complaints to CySEC, carders, making up for the shortage of staff, internal problems of interaction between departments. 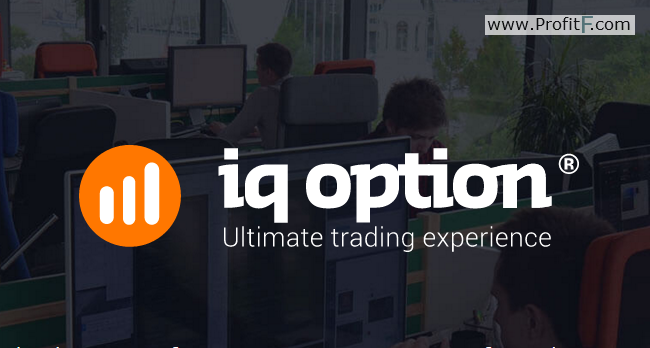 How many traders have used your platform over the entire history of IQ Option? According to the recent data, 1.5 million accounts, which deposits exceeded 0 dollar, were opened in the platform. How much money did the company withdraw to its traders’ accounts in total? Very much. We withdraw all the money, except those stolen from someone else’s cards. How many traders using your platform can be called “successful”? What period of time is it true for? Our mission is to provide “Ultimate trading experience”. In other words, we commit to providing excellent services by offering our software and customer support. We strive to provide it for every trader. That’s why I would call all traders successful. Though our initial risk management policy was immature and unpopular among traders. We changed a payout percentage for some traders – everything was transparent. However, traders were dissatisfied with it for obvious reasons. Thank God, we gave up the practice long ago and now we make more money with no issues whatsoever. Would you advice your friend to trade binary options with your company? I trade by myself and advice my friends to trade too. I tested the new platform on the weekend and increased my deposit from $10 000 to $50 000. Then I told my wife, if I double my deposit now, I’ll give her $100 000 for shopping. Your employees are allowed to work with your platform as traders. Has somebody been granted a substantial supplement to his wage? Yes. We often joke that somebody will get a reward on his deposit. In fact, many of our employees are engaged in trading. We give no-deposit bonuses to them every month for better understanding of our product. Where do you recruit your stuff? What are criteria for recruitments? We recruit employees in Russia on http://hh.ru/ website and through recruitment agencies in Cyprus. We look for professionals or people with fiery eyes. How does your internal risk management system work? We monitor how much the system earns. The system must earn 3% of the entire trading volume. If this percentage value differs, we shall change a percentage rate of return on assets. How do you think what your company will be in 2-3 years or, probably, 5 years? The company will be a leader in binary options trading. Besides, we shall also widen our range of financial instruments a little and compete for the given market share. It is a very interesting project. It is still in progress now, but I strongly believe in it. We assembled an incredibly great team, and we shall be able to do much and much good for trading. What is your assessment of competition in the given market? Are there those who are very close to the heels of your company? As I said a year before, there will be competitors who will copy an interface of our platform and mechanism of its operation. THEY, but not the current leaders, will be our true competitors. I’m not going to give you their names, but our domestic companies can develop good software, as we are. We saw very and very good clones of our software in October. Though they are offended at our calling them by this name. Never mind: they will not be able to compete with us in the nearest future, when the new version of our platform releases. You will soon introduce the new version 4.0. What tasks would you like to solve with it? It will be WOW (it is one of values of our company)! The new version will operate much faster that the current version 3.0. The version will include stand-alone clients that are not only easy-to-use, but operate “on the fly”. We hold an opinion poll among traders every month. A great deal of suggestions has been accumulated since March. So, a great many of them will be implemented exactly in version 4.0. How do you think what the binary options industry will be in several years? Will many companies survive? What conclusions about the industry you can make now after several years of your company’s operation? Israelis don’t change. They have been playing dirty and continue to play dirty. The industry is full of filth and fraud. Trading volume of the binary options market is not enough to set a global trend towards a proper behavior and honesty. Statistically, most of traders lose their money. Why do you think it happens? The reason is that any kind of trading is a zero-sum game in terms of mathematics. There is a trader, who won in a trade, and another trader, who lost in the trade, and a broker, who is always on the plus side. However, trading is a great thing. If the right approach is applied, trading can be a huge world: analysis, news, gambling, intuition, and, of course, EMOTIONS. Did you become financially well off thanks to IQ Option? I haven’t locked my profit earned in the company yet. I started to earn money in other industries long before a foundation of the company. However, I spend all my working time on IQ Option only. How difficult and expensive is a process of obtaining a license from CROFR (http://crofr.net/) and CySEC? License by CROFR is just a “paper”. Obtaining a license by CRFIN (http://www.crfin.ru/en/) is a little more difficult process, and we gave up on it. We were obtaining the license by CySEC during a year. We had to implement a great many restrictions imposed by the regulator, introduce a great deal of accounting procedures, freeze a good deal of money, etc. We work closely with CySEC. They hold us as an example for other brokers, which traders filed complaints against them to CySEC. What is a legal status of the company in Russian Federation? We develop software and provide support to our clients. It is a usual limited liability company. A Cypriot company acts as counterparty to trades. Do you think if a true, state-regulated binary options exchange, such as NADEX or Cantor Exchange, be established in Europe some day? We went to USA recently and communicated with NADEX. It seemed to us that it was a short-lived thing that the US regulator hadn’t yet got his hands on. Binary options are considered to be a game of luck and licensed through Gambling Commission. The EU works to license binary options as a real financial instrument with the use of MIFID directive. How do you think what a legal status of binary options will be in several years? Will they become a legal derivative instrument? Until recently, binary options were considered as a financial instrument in Great Britain. They can be still classified as a financial instrument, if a set of requirements is complied with. By the way, our company has been included on the register of FCA this week. In the EU binary options already have a status of a real financial instrument and are subject to the MIFID directive. We have a status of Cyprus Investment Firm with all the consequences that come with it and are subordinate to the EU’s superior regulators. Truly speaking, CySEC experiences a pressure for the reason that it regulates a great number of unreliable Forex and binary options brokers. However, the regulator started to clear the market from such brokers more actively. Will expiry times be optional or fixed? If not, why won t they be optional? No, they won’t, because it will be our feature! Why the highest timeframe on IQ’s chart is 1-minute? There are not even 5-minute timeframes not to mention daily timeframes. The platform doesn’t allow viewing historical price data. As a result, most of experienced traders use third-party charts by MetaTrader, TradingView, Netdania, etc. Will a “normal chart” after the fashion of the TradingView’s chart – allowing selection any timeframe and charting tool, viewing historical price data over a month and a year – appear in the platform? Please read my previous answer. What was the highest one-time payout? What was the total payout to a trader since he has been using the platform? (It was the most popular question). We have a total and a fair statistics of payouts to all traders. You can see from it that traders raise good money. Withdrawals were up to $50 000. Withdrawals of $10 000 were made several times per week. What was the maximum amount of money lost by a trader at a time and for all the time? The total sum is more than $300 000. However, it is not a substantial amount of money for that kind of people. Why do currency pairs or various expiry times become unavailable in the platform on a regular basis? Why does it happen mostly at nights? This is the risk management policy of the company. Can a feature of changing a deposit currency be added without contacting a technical support department? Any feature can be added, and we aspire to doing it. The problem is that there are a lot of features suggested by traders, and we are sorting them by importance. At the same time we are extending our stuff number. Why does the percentage rate of return on various currency pairs differ throughout a day? What is the reason for it? This is the risk management policy. We watch to make sure that the system earns 3-4% of the entire trading volume. Under such conditions successful traders will take money out of unsuccessful ones, and we shall make money on trading volume. The business model of our company will be implemented in the new version of the platform. Will information about trade operations be exported in Excel format? I think it can be already exported in CSV format. Check out. Will the platform get a feature of connecting to such account monitoring systems, like Myfxbook or Marketstat? I understand what you’re driving at. You would better write to us what kind of analytics of your trades you want to see in the platform, and we shall certainly implement it. Will IQ introduce its own Forex broker? No, it will not 🙂 It would be a shift in our focus. The principle of success is a focus. What is your opinion about the Forex law of the Russian Federation? We studied it very and very carefully and submitted requests to the Central Bank of Russia. We got the following answer: binary options are not covered by the definition of Forex dealers’ activity. What is the purpose of registration of the LLC, which has such an impressive authorized capital of 100 million rubles? The law is aimed at driving small companies out of the market and initiated by three largest Forex brokers: A., T., F.
Why do Dr.Web and Kaspersky anti-viruses block access to your website? Did you try to solve this problem? We have had it up to here with them. Maybe, some of our partners generate illegal website traffic. We are constantly dealing with the problem and having conflicts with them. Can you add a feature of “making deposits” into a demo account so that I don’t have to “multiply” several demo accounts? Yes, we can do it very soon!!! The feature is being tested right now, though. Why do almost all binary brokers, including IQ, not tell that they are betting providers, and that options are not “options” at all, but a usual bet placed in their platforms? What’s the use of being disguised as financial services providers? Watch the new video in our new platform: I am in favour of transparency. Business model of the broker will be demonstrated in the video. Is it worthwhile to call binary options a usual casino? Statistically, a binary options company is even more profitable than a statistically average casino. From a mathematics standpoint, binary options are certainly not a casino. The probability of winning at casino games is always a constant value. We can see from the VERY big statistical data that price movements on binary options chart are predictable. Somebody predicts these prices better than others. The average winning rate of trades is 52.03%. Honestly speaking, casino is a very interesting kind of business, but it is different. Casino players, like binary options traders, lose their money and come back knowing that mathematics is not on their side. Why a level of advertisement of IQ services in social media and on websites is so low? I showed examples of illegal promotion of websites to your employees by myself. The examples included hundreds of hacked websites, on which doorway pages were created to redirect visitors to IQ’s landing pages? Do you know about that? These doorway pages still exist. You may not believe me, but I’m VERY concerned with this issue. We reshuffled staff in our affiliate department, and I hope that we shall not see these doorway pages again. Please e-mail me links to such doorway pages at (the e-mail was hidden by interviewer), and I shall initiate an investigation. As for social media, I introduced penalties for advertisements promising whole mountains of gold, telling success stories, etc. We shall most likely block the website traffic. What’s your attitude towards numerous Youtube videos with referral web-links, where people forge (with the use of their browsers’ consoles) sums of money in their account statements and make use of other unfair advertisement practices? It’s a bad idea. They are bad partners, which we must get rid of. I’m deeply convinced that you can earn much more by telling truth and providing excellent services than by telling lies. What do you think about attracting and fooling clients through signals and signal services? The fact is that there are a priori no effective, time-proven signals able to predict the market like Baba Vanga. We are developing a project on the related subject that will be two times more effective. Heh, I have to disclose our secret: we are developing a robot builder, which task is to analyze the market fairly based on the developed algorithm and open a trade or generate a signal. It’ll be just an instrument of automated technical analysis. I want to notify at once: it doesn’t change a game of the market. However, it allows you customizing a robot instead of sitting in front of your computer. Do your managers attempt to trick clients out of bonuses and deposits? Do they tell them about “investments”, like many other companies? Do they practice other methods to convince people to put money in their accounts? You’re evidently not our VIP-client or you were writing the question without studying the subject. It is a source of personal pride, our mission and a reason for contrasting us to Israelis. Our primary principle is not to lie. We use a “self-deposit” model, enable to open a demo account and put $10 as the minimum deposit so that a man makes a decision by himself on how much money he wants to put at risk. Nobody will call him immediately after his registration and persuade him to deposit funds promising whole mountains of gold. I do hope that the scheme of fooling clients will die soon, and all the companies will operate, like we do. What is your opinion about the harm done to the entire binary options industry by illegal methods of advertising binary options practiced by affiliates of binary companies? I think they will more likely die a natural death, and we shall drive the industry. There is a very popular opinion that IQ always understates payout percentages for successful traders after they withdraw a certain amount of money. Is it true? What is the minimum sum of money, for which this statement is true? It hasn’t been so almost for 12 months. I’ve told you about it before. We practiced it very actively earlier. After we had given up the policy, we only gained from it eventually. Taking into account the betting nature of your business: do you block a further access to your platform for a trader, if he has withdrawn a certain amount of money, which is considerable for IQ? Of course, I don’t. In that case CySEC will block our access to the binary options business. You may use the platform, if you are over 18 years of age. Do you know that many schoolchildren forge a scanned copy of their passports or register accounts on behalf of their parents? No, I don’t know. We cannot keep it under control. CROFR is not a priori a regulator and is a non-governmental organization. There are numerous of examples, where it ignored complaints. What’s the use of obtaining its “Mickey Mouse” document? Honestly speaking, we followed an example of “Anyoption” in 2013. Its license is just a nice advantage that helps to avoid a headache. The true regulator is CySEC. It is believed that CySEC completely ignores traders’ complaints and is just a legal shelter, which can be bought, for binary options betting providers operating in the EU to create an illusion of regulation? Is it true? It is far from true. The superior bodies tell CySEC off for complaints, and CySEC, in turn, tells brokers off for these complaints. Guys from CySEC are slowpokes, and it’s true: they sent us 117 complaints in June accumulated since February. By the way, it is a negligible quantity as compared to our competitors. I know from my personal experience that on the Internet and websites dedicated to protection of traders, like FPA (http://www.forexpeacearmy.com/), you can find a countless number of stories about loss of funds due to the reason that managers confused clients intentionally, got them hooked on signals, which were a priori false, told them about “investments” and plainly set them up. What do you think about it? I think that lie is a primary problem of the industry. It is not typical for casinos and betting providers, where much more money circulates. In binary options industry fooling every client and pursuit of here-and-now profits fell into a habit. They would better develop good software and services. It is a very hot topic. The only way to solve the problem is to show a good example of doing business properly or withdraw from the dirty market. However, I believe in the forces of good. The black list of AMF (http://www.amf-france.org/) includes 200 binary options companies. There are plenty of unregistered and unlicensed companies, fly-by-night companies, registered in the name of front parties. When will the end of this disgrace come, if at all? Yes, you are right. There are more fraudsters in the industry than, for example, in the Forex market, because it is easier to establish a brokerage company here. Although in general expenses are heavy, and you have to conclude agreements with banks, etc. This is why those who act illegally (fools clients) will not be able to buy website traffic: they will play with the traffic and lose it. Google prohibits advertising binary options in contextually targeted ads intended for Russian audience. What is the reason for it? Did you try to get round the prohibition? Google that nevertheless allows us buying website traffic from other countries and likes us very much says that it is “the internal policy of the company”. They are very nice guys, and we can’t complain about them. Thank you, Dmitry, for your time and answering all the questions. It was a very interesting and a useful interview. After the interview was published, Dmitry contacted me, and I showed him numerous examples of doorway pages that were mass-produced by some guys to redirect website traffic to IQ’s website. Frankly speaking, I was 100% sure that IQ’s management is aware of it: the traffic is being redirected to their website, and it makes no difference to them, where it is from. As it turned out, it was not so. Dmitry was very concerned about the issue. I can see now that these sources of website traffic are blocked one by one now. Thus, the interview was of great practical use.